Dubai: Na Vanthutten, thirumbi Vanthutten sollu (Tell everyone I am back, come back) is the main dialogue of Rajinikanth in Kabaali, but the superstar’s fans believe that the words will be apt for his latest blockbuster 2.0. After four average movies, 2.0 has come as a huge relief for Rajini’s legion of fans. However, though it is compared to Baahubali 2 in terms of grandeur and box office collection, one does not get the same feeling as watching a Rajini starrer. In the end one gets the feeling of leaving the cineplex after watching James Cameron’s Avatar. “Super Movie and a complete Rajinikanth movie. Got what we were expecting and relieved some pressure on the fans after a disappointing Kaala,” an ardent fan Sundar C. said after watching the opening show at Aurora Talkies in Mumbai. The VFX has been truly wonderful and it is certainly a wow factor in the movie. But a weak plot has not helped the movie’s cause, resulting in a bit of a drag in the first half. Even though the action picks in the second half some time is wasted in an unwanted graphic fight between Chitti and Pakshirajan, the villain role played by Akshay Kumar, to stretch the movie. Akshay and Amy have been only a part-time players with Rajnikanth and the technology being the protagonists of the movie. Director Shankar, whose movies centres on corruption and social issues since Gentleman some 25 years ago, has sent out another clear message on the perils of the mobile phones, its usage and the damage the mobile phone signal towers are causing to the avian population and the human beings alike. However, with the ill-effects still not proven the director has to depend heavily on the VFX to offset the weak plot. So it ended up as a typical Rajnikanth movie, with lots of superman-like fights and scenes, though according to the script Chitti the robot is capable of doing such an act. 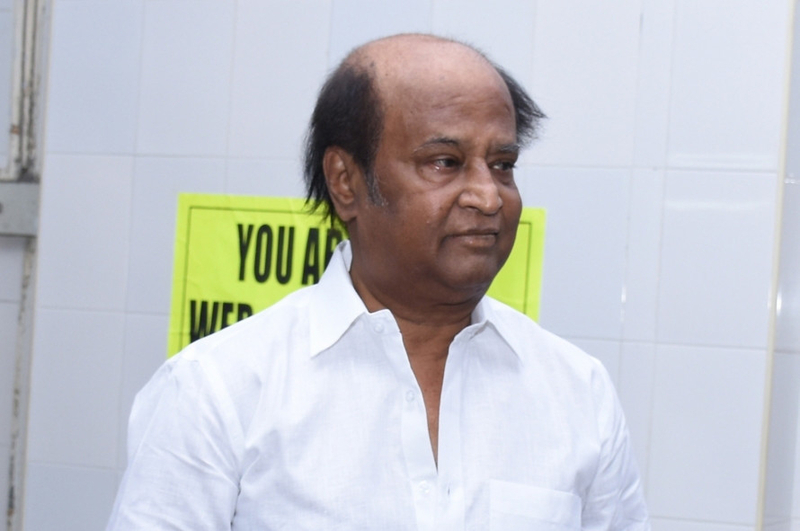 Rajnikanth’s looks and his cracking voice fail to conceal the fact that the superstar is ageing. With his fans getting something to cheer about after a mega-hit for the first time since 2010, it is time for the versatile actor to get into a new avatar.